I was feeling lazy again so I did another quick, simple manicure. For the base, I used two coats of OPI My Boyfriend Scales Walls ... my bottle is halfway gone so it's almost time to go out and buy more! 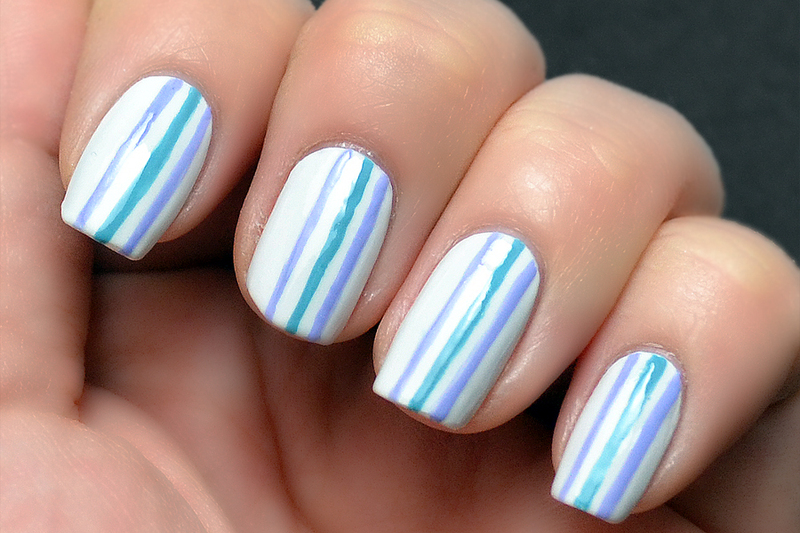 Using my striping brush, I added three stripes from the OPI Euro Centrale collection. On the outsides is You're Such A Budapest, and the center is Can't Find My Czechbook.